A particular class of estimates related to the Nelson–Erdős–Hadwiger problem is studied. For two types of spaces, Euclidean and spaces with metric ℓ1, certain series of distance graphs of small dimensions are considered. Independence numbers of such graphs are estimated by using the linear-algebraic method and combinatorial observations. This makes it possible to obtain certain lower bounds for the chromatic numbers of the spaces mentioned above and, for each case, specify a series of graphs leading to the strongest results. 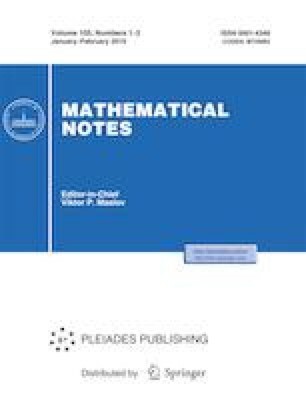 Russian Text © L. I. Bogolyubsky, A. M. Raigorodskii, 2019, published in Matematicheskie Zametki, 2019, Vol. 105, No. 2, pp. 187–213. L. Bogolubsky, in arXiv: https://doi.org/https://github.com/LevBogolubsky/chrom_lower_linear_algebra.